The late 1960s and early 1970s was a period in history that was coined the Jesus movement, a time when the Holy Spirit swept through North America, Central America and Europe. It goes down in history as one of the biggest in terms of evangelism that saw many people giving their lives to Christ and coming into a solid relationship with Him. Prior to that movement the State of Alabama, USA had endured decades of violence and segregation in everything. Many bombings took place and deaths resulted from the hatred between the black and white folk. The schools were toxic environments for the students who were at loggerheads because of segregation. In one school, Woodlawn High School, it was disastrous which had approximately 2500 white students and 500 black people. The whites did not want blacks in the school while blacks did not want to be there but they were forced to be together nonetheless through integration. 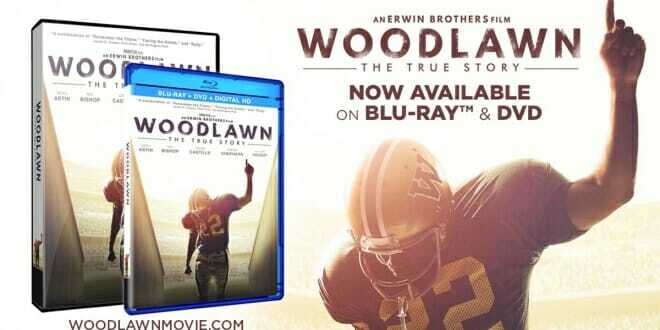 The Woodlawn movie tells the story of events that took place in Woodlawn High School during that time. Every sector of that society was affected and the incidents that took place at Woodlawn High School brought upon itself some negative publicity. It seemed like there was no hope of a turnaround of events. The school football team was just as segregated as everything else and fights tended to break out between the blacks and whites. It was so bad that even game days were characterized by violence between black and white supporters on the same team. The team football coach Tandy Gerelds faces a tough situation when a particular incident of violence threatens the closure of the school for good. Tandy Gerelds and the school authorities have kept the school running because of the love they have for it yet the threat is very real. By God’s intervention a man named Hank who had an experience of the Jesus movement approaches Coach Gerelds to offer his help to unite the team. He takes the time to speak to the team following the recent incident of violence and challenges them to become united and give their lives to Jesus Christ. It is worth pointing out that the team only had 5 black players and the rest were white. Of those 5 players was one talented and reserved young man, Tony Nathan that Hank identified as a potential superstar. A black superstar was unheard of in a predominantly white community but Hank realized that he just could be the catalyst to bring hope to the school and Alabama as a whole. The situation in the team does not immediately turn around but as Tony Nathan and the players begin to pray together and have one purpose amazing things start to happen. What looked like an impossible situation to turn around begins to unfold in the entire community. The Woodlawn movie teaches us what we can accomplish together when we decide to forgive and love one another in Christ. The events that took place after the football team’s decision to love were nothing short of a miracle and the state of Alabama has never been the same since then. Get yourself a copy of the movie and find out how the football team turned the State of Alabama upside down.